When you're looking at the PlayStation VR's library, there are two distinct types of titles. On the one hand, you have full-fledged games that range from strategy titles to shooters, to horror and plenty others. On the hand, you have VR experiences. These are typically shorter and more story-focused. Think of them like VR films or experimental concepts. Manifest 99 falls in the latter category. This is not a full-fledged VR game, nor will it be reviewed as one. This is a low-priced and focused experience, so we're not going into this with expectations for hours of gameplay and complex mechanics. That being said, this is one experience everyone should play in VR. You can finish Manifest 99 in about 30 minutes or so, but I personally plan to play it at least a few more times to truly take it all in. The story here is told without any words, and while I wish it would have lasted longer, it manages to convey a lot of emotions and concepts in a short amount of time. I am staying intentionally vague because this experience is best done with as little knowledge as possible beforehand. 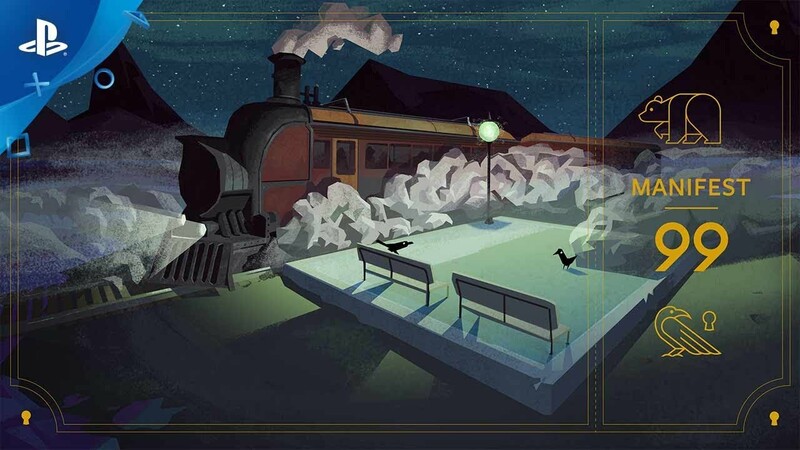 During your journey, you'll interact with several characters on board the train. As you find items related to them and ultimate experience their stories, you'll begin to understand what brought them to this place. The individual stories are all very unique as well. They're all heart-wrenching in a different way, offering many different paths that lead to the same present moment. You'll experience vastly different settings are you progress as well, giving you plenty of interesting scenery to gaze at through the windows. As a silent observer, you'll unlock scenes that further flesh out the other characters on the train. The opportunity to dive into their personal lives is great if a little brief. Even so, the excellent pacing and sharp animation manage to tell a complete and cohesive story by the time the credits roll. When I finished the experience for the first time, it left me with a sense of profound contemplation. Life, death, and what comes after are lofty concepts to tackle, but Manifest 99 does it with simplicity and grace. I think it's incredibly important that this story was done in VR as well. As a 2D experience, it just wouldn't have been the same. 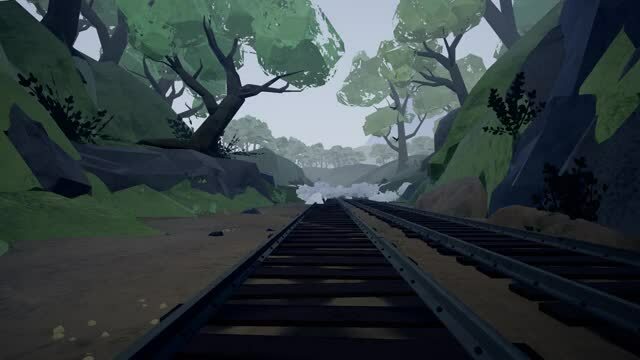 The sense of presence in VR made it truly feel like I was riding on a train through impossible landscapes. Furthermore, VR afforded me the opportunity to be a fly on the wall in these people's lives. That incredible sense of perspective, and the way the game used visual cues to make your turn and look as new events played out elevated the story to heights it would never reach outside of virtual reality. It always amazes me as a writer when an experience like this manages to say so much without saying anything at all. It's a careful balance, a choreographed dance between visuals, animation, and music. It takes a lot of talent and a remarkable understanding of the story you wish to tell to pull something like this off. I have to say that I wish it was longer, but at the same time, Manifest 99 felt so perfectly paced that I wonder if length could improve it any further. Obviously, I would have liked to know more about these characters on the train, but the way that it was all presented and the confident sway of the game from train car to train car was spectacular. I was fully immersed throughout, and even though my trip into the afterlife was brief, I was absolutely blown away by the profound and equally personal nature of the story. While VR experiences can often be passive in nature, Manifest 99 incorporates some clever interaction into its brief adventure. Beyond booting the game, you won't need any controllers to play this. I loved this because it lower the barrier of entry to an almost non-existent level. Anyone can play this experience, even if they don't have a shred of gaming skill. You teleport around environments by looking into the eyes of crows perched in various places around you. When you make eye contact, a white flash will let you know you're locked in. The bird will fill with a white light before your perspective shifts to its eyes. There's even some simple puzzle solving as you encounter characters who aren't too keen on sitting still and letting you peer into their souls. This small, but a crucial level of engagement made Manifest 99 consistently interesting to play. Had it opted for a passive experience, it would have been good still, but being able to interact and progress at your own pace really pulled me into the world. There are also collectibles to find that further develop some of the characters. You can collect these by looking at them in the environment and lining up the transparent outline of the object itself. It's a perfect balance of visual storytelling with interactive engagement that keeps you invested in the world. Manifest 99 is by far one of the most beautiful games I've played in VR. It has a simple, but extremely effective art style that focuses on defined shapes, great use of color, and stark contrasts. The animal/human hybrid style to the characters makes the world feel unique while also making them relatable. The use of visual cues also goes a long way towards guiding the player forward and providing them with valuable feedback. For example, when you're looking towards a crow, you'll see a pair of white dots appear that move with your head. Lining these dots up with the crow's glowing eyes constitutes "looking" at it. This way, you don't need a cursor or reticule getting in the way, but you also know where you're technically looking. Furthermore, during story sequences, there are transitions of blackness, punctuated by a swathe of color on your left or right. This triggers you to turn and witness the next event on either side of you. They're little things, but they go such a long way towards making the experience feel organic and tightly designed. Manifest 99 combines the sharp visual storytelling of film, with the interactivity and immersion that only VR can provide. We can't wrap things up without discussing the audio either. This is an experience best played with headphones hooked up to your VR headset. The audio is positively breathtaking. The music switches from somber and melancholy, to sharp and ominous without so much as a flinch in the transition. There are moments of wonderful soft melodies and beautiful arrangements before a shocking event will cause the music to soar with thunderous brass. It really does feel like a high-budget soundtrack that would fit into any film or AAA game. Again, I have to recommend you experience it with headphones as its a crucial part of the whole experience. You're probably wondering how I can say so much about something that lasts for such a short amount of time. I don't know if its psychological, or if VR messes with physics, but Manifest 99 didn't feel like a 20-minute experience when I was in VR with my headphones on. Instead, it felt like a satisfying and beautiful journey beyond the walls that divide life and death. I was sad to leave its incredible world when I had to take the headset off. This is easily the best six dollars you'll spend on the PlayStation Store. Whether you're curious about what a VR experience is like, or you need something simple to show off to friends and relatives, it doesn't matter. Whatever your reason, you need to try this VR experience. If Manifest 99 was a piece of virtual art in a museum for gaming, I would pay $6 for a ticket to experience it again in a heartbeat.